When this was released I had to give it a go. I justify this by the fact that in a few weeks, I’m going to be back teaching a bunch of twelve year olds and it is important that I can relate to them about topics they are interested in. I’m basically just doing my job! Being in education is a great way to get away with doing stuff that no self-respecting 42 year old should admit to be doing! But seriously, where do the coins go? My first experience of searching for Pokemon down in LC was very disappointing. I wandered around mum’s house with the limited internet connection I had and couldn’t find any. 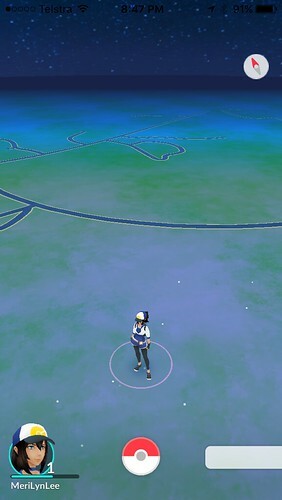 LC is a Pokemon desert. I tried again the next time I went up to Perth. In Perth, I could see a bunch of Pokestops on my phone but still no Pokemon appeared for me to catch. This was a bit weird because my sister then tried on her phone and she was spotting Pokemon everywhere. I put it down to the fact that I was using the free shopping centre wifi and she was using the real stuff you pay for. Who knows if that really is the reason but that is the story I’m selling. Lake Clifton -the middle of nowhere! Meanwhile I got my revenge as I turned my nephew into a Pokemon nut. As my phone wasn’t cooperating, he could only play with his mother! Ha! 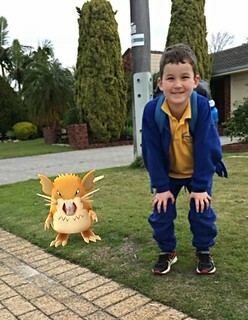 In the end, when I returned home to Japan, she told him that I had caught all the Pokemon in Australia and had taken them with me. It worries me a little that he swallowed this story so easily, even though he is only five. 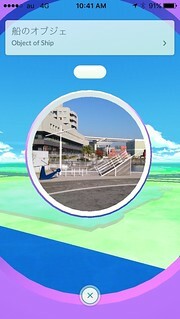 I returned to Yokohama on Wednesday and the game has just been released here. On Thursday, I went for what was supposed to be a 12 km run that ended up being just 9 km as the shock from running in 15ºC and low humidity weather to 28ºC and high humidity, was just too much for me. I started walking about 3 km from home in the middle of Minato Mirai – the most beautiful and tourist dense part of Yokohama. As it turns out, it is also full of Pokemon! 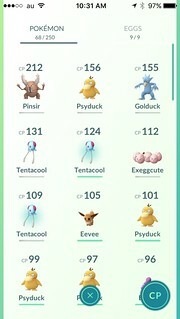 By the time I got home, I had caught a lot of Pokemon and visited a number of Pokestops along the way. My favourite being a child’s playground in my apartment complex which comes up in English as being ‘object of ship’. But frankly, after the initial thrill of catching your first few magikarp and so on, having to stop every five minutes when more Pokemon appear to catch, really ruins a beautiful summer evening’s walk. But for the first five levels, you can’t do anything else. It wasn’t until I had reached my apartment complex that I finally made it to level six and the opportunity to put my collected Pokemon into battle at a Pokegym. Unfortunately, I had also reached the limit of my phone’s battery life and my will to continue with the game. Although I had reached a point where I was already a bit bored with Pokemon Go, I decided last night to try to do battle at a Pokegym to see if this next level could reignite my interest. Luckily, there is a Pokegym very close by my apartment at my local Homes store, so I walked over there on the pretence of picking up a new outdoor light for my balcony. Once my shopping was completed, I walked over to the canal where the Pokegym was. I tried to battle one of my Pokemon but couldn’t really work out what I was supposed to do. In the end I selected run away which then really confused me because I was told I had won the battle! Not sure how I did that and after three minutes of trying to work it out, I was over it. Not surprisingly, I wasn’t the only person playing at this Pokegym. There was one other player – a bloke about my age dressed in a suit. Considering this was a Friday night, I realised that we may be the two saddest individuals in Yokohama and possibly the whole of the greater Tokyo metropolitan area! I gathered up my shopping, tucked my phone into my pocket and walked home. So that now completes my Pokemon Go adventure. I’m not quite ready to delete the app from my phone yet, but I doubt it will be long. What I am excited about, is what must now already be in development for new location based games for my phone. Someone somewhere is developing something that is fun, interesting and suitable for sad 42 year olds! Oh how sad!!! You sure can spin a yarn. No exaggeration needed on this one mum!